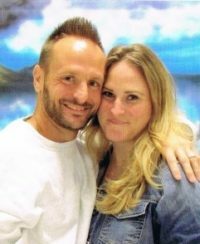 First time blogger,so spare me if I am not up to par.My name is Charlie OBrien I am 48 years old and have been incarcerated for 20 years and have approx 3 years maybe a little less.I will be up right with you as I have to admit that I am totally scared of getting out as I know that there is whole new world out there.Hell I have not even used a cell phone yet and from what I have heard they are really high tech.I am worried about getting out because I know that getting a place to live out there is going to be hard to do,and even getting a lob is as well.I mean I have no real skills except some roofing and selling drugs and I do not want to do that but yet employers want the youngsters out there climbing up and down the roofs out there.Selling drugs is NOT an option for me as I am not coming back.Right now my release date is june of 2019 but I do ahve some good time coming back and I can get some more as well.If I do not get good time back I willbe 51 when I step down with 30-31 years of my life locked up and so that really scares me that it will be hard.I know it will be but I do not want to fall back into the same lifestyle.Some may say that I am setting myself up for failure by thinking negative but I am just understanding the worse.I am Not coming back no matter what.I feel it is better to live in a card board box that to allow myself to return to this lifestyle.I know crazy thinking but it is reality,I am not coming back. I think that these are very real fears.Am I crazy for thinking that way?I mean I have been locked over half of my life.Well there you go my first blog dont know if that sounds very good but there it is. So for now take care all of you out there that may read this.Hopefully I will return to you some time soon. I just prayed for you…I do understand your statement “I am just understanding the worse” I can relate with that. I can also relate with, yes maybe too much thinking about the negative things that can happen. A lot of stuff is still the same, and you do not have to conform to the world around you. How cool would it be if you organized some sort of help for troubled teens so they don’t have to spend 30 years in jail…or maybe you can write a book to them. I enjoyed your blog post! God bless! I hope nature blesses you with wonderful sights and sounds all fresh and beautiful, when you step free.